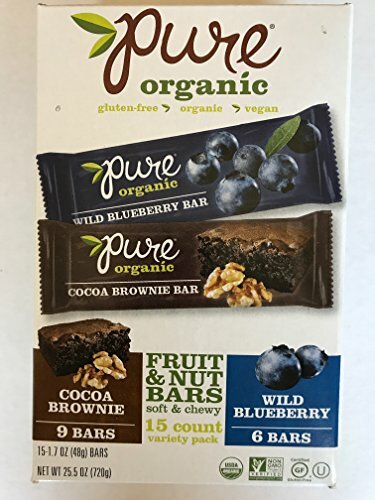 Pure Organic Fruit & Nut bars are certified organic, non GMO, vegan, gluten-free, soy free, kosher and made with sweet fruits, rich nuts and a variety of spices. 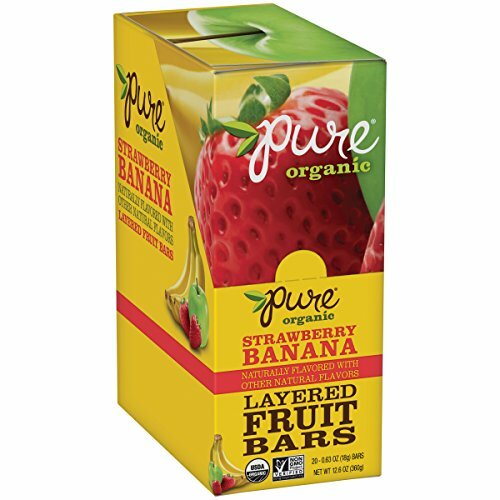 With a soft and chewy cookie dough-like texture, Pure Organic Fruit & Nut bars are perfect high energy snacks that deliver balanced nutrition with whole food ingredients. 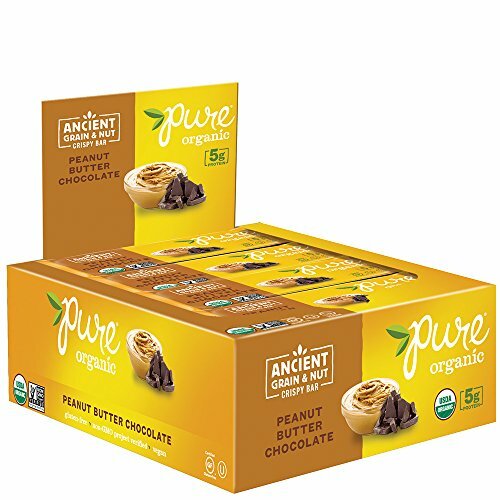 Pure Ancient Grains bars are certified organic, non GMO, vegan, gluten-free, soy free, kosher and made with our exclusive Pure Ancient Grains blend to deliver balanced nutrition using whole food ingredients. Dark organic cocoa and walnuts with omega-3s and antioxidants. But we know, we had you at "brownie." 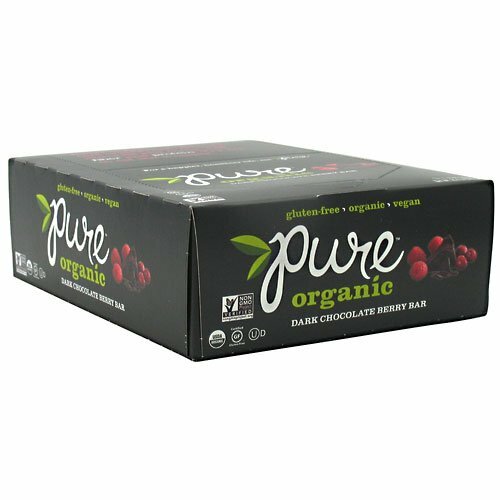 Pure Fruit & Nut bars are certified organic, non GMO, vegan, gluten-free, kosher and made with sweet fruits, rich nuts and a variety of spices. 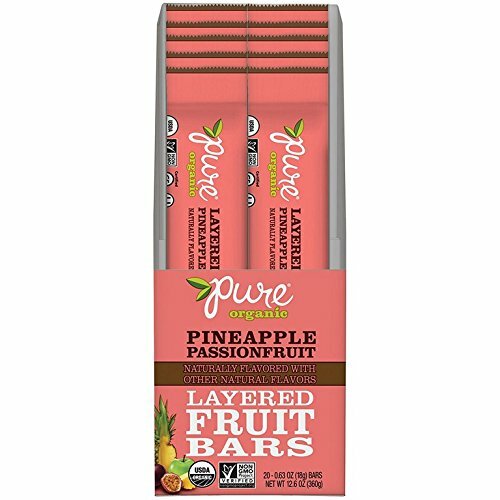 With a soft and chewy cookie dough-like texture, Pure Fruit & Nut bars are a perfect energy snack. 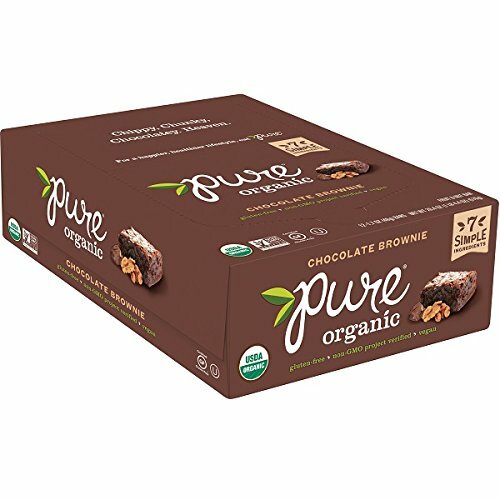 Pure didn't begin like other companies. It started in my kitchen and was inspired by my daughter. When Anna was 6, she made the decision on her own to become vegetarian. There was no doubt in my mind that I needed to support her decision so I took to the kitchen to create clean and nutritionally balanced foods that she would love. The same convictions that led me to create the perfect snack bar for Anna, now 17, still drive everything we do as a company. Not just for kids, we make clean, nutritionally balanced, delicious food for all ages. This is what makes Pure special. For all people. Way too good to be this good. Organic; Raw; Healthy; Delightful. Vegan Certified. USDA Organic. Natural Food Certified. Eat pure--live pure. 400 mg Omega 3. Low sodium. 4 g Organic fiber. Totally raw. Certified Kosher. 1-1/2 serving fruit. No refined sugar, artificial nothin', preservatives, trans fat, cholesterol, dairy, GMO's, gluten or soy. All-natural product. Natural fruit sugars. 15 Essential vitamins and minerals, antioxidants from cherries, and healthy Omega 3 fats in every bite. Nothing cooked--totally raw. Nothing processed. Completely Pure. Certified Organic by Indiana Certified Organics (ICO). Quinoa, Amaranth, Flax, Hemp. At age 6 my dauter decided to become a vegetarian. Right from our kitchen, she and I created the Pure Bar to give her the essential nutrients, protein, fiber and omega-3s her body needed. Only gluten-free, organic, and vegan ingredients were used; and we knew it had to taste amazing or we wouldnt eat it. 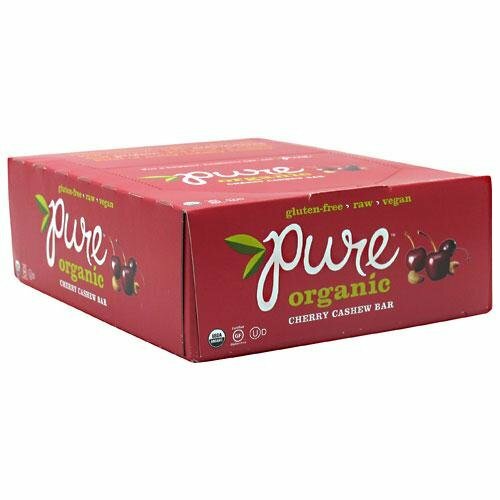 For a happier, healthier life, eat Pure. Sweet organic raspberries, tart cranberries, crunchy almonds and cocoa with fiber and protein. Try not to eat the wrapper.Warnings: Contains Almonds, Cashews, Walnuts. Simple Organic Cocktails with Pure Bar's Veronica Bosgraaf. Here is a short review of these $2.00 USD delicious snack bars I highly enjoyed/recommend! I got these @Kroger on sale for $1.00 USD each! 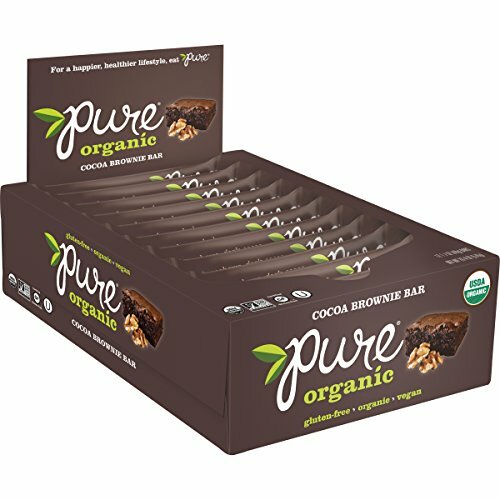 Compare prices on Pure Bar Organic at ShoppinGent.com – use promo codes and coupons for best offers and deals. Start smart buying with ShoppinGent.com right now and choose your golden price on every purchase.